If your Pond was built by the #BeeTeam at Ponds by Bee, chances are you won’t be visiting this page very often. However, what about ponds and Water Features built by someone else? 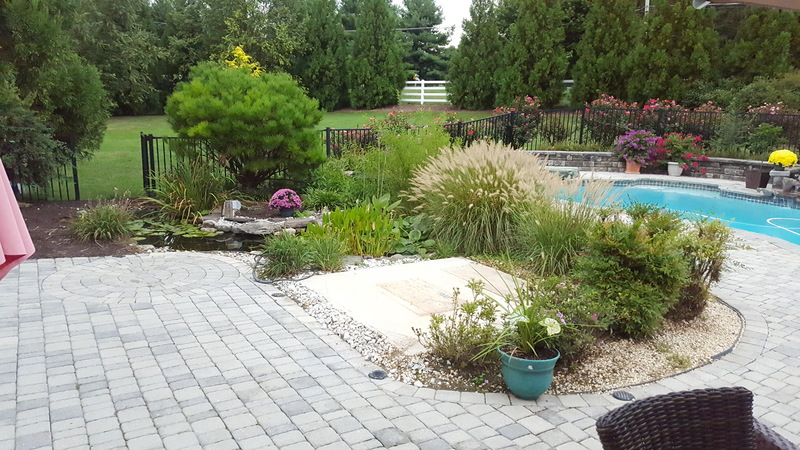 Was your Pond built by a landscaper or a handyman, or possibly even a pond contractor that isn’t in business anymore? 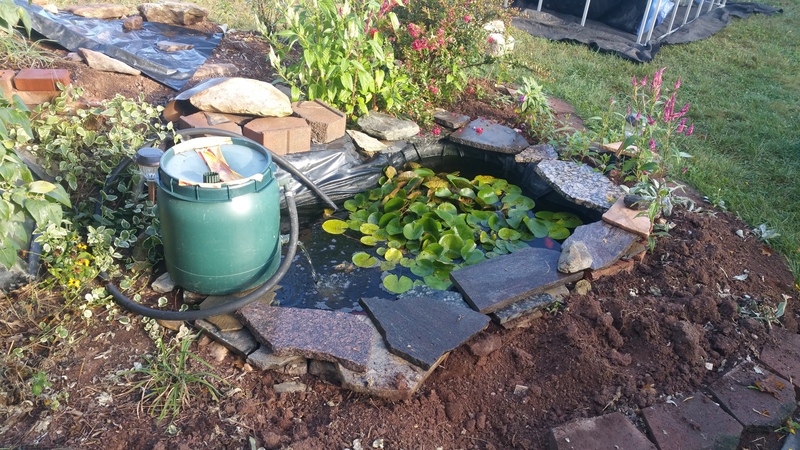 Perhaps you built your own pond, and it just isn’t performing the way you imagined. Our Team is here to Help! 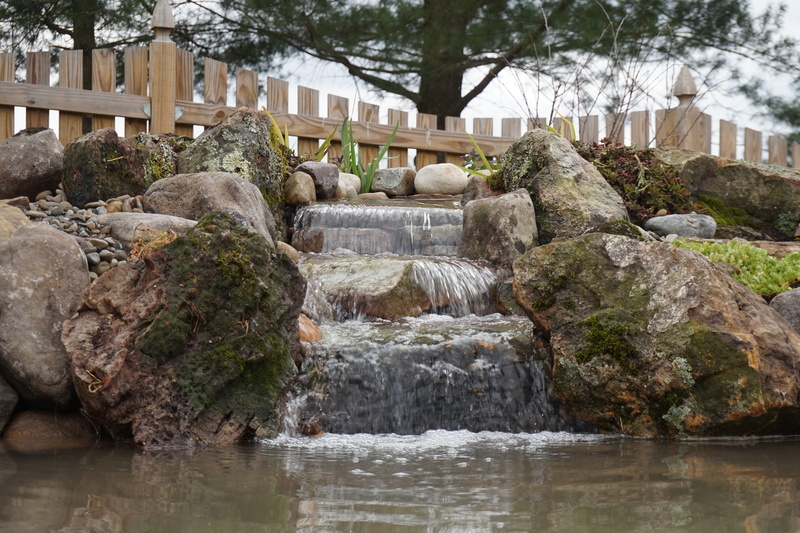 Many of the Water Features our Team builds are created from the remains of a problematic, incorrectly built Pond or Water Feature. 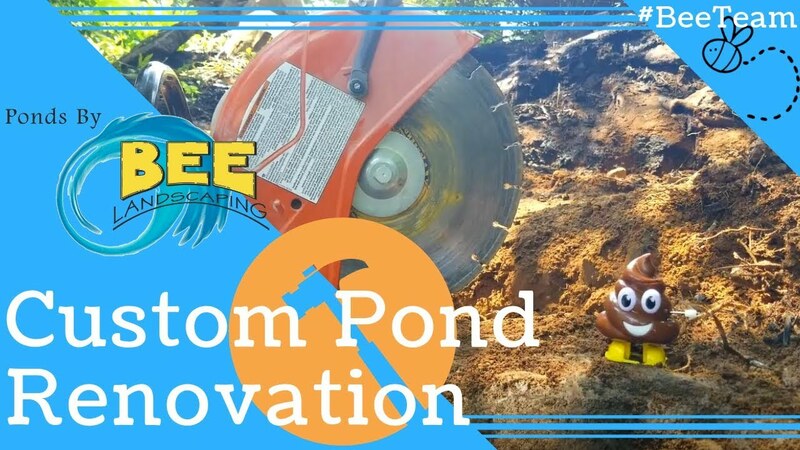 This video shows what our #BeeTeam was able to create in a 1 Day Pond Renovation. 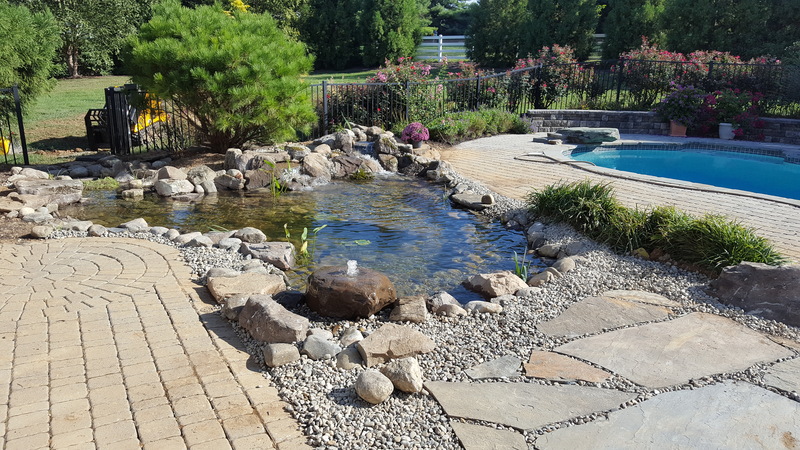 It is not uncommon for a Handyman or Landscaper to take a “swing” at creating a Water Feature, However if they are not educated on the in’s and out’s of properly built pond, a lot can go wrong. It’s always best to avoid cutting corners and bring in a professional to create your ideal piece of paradise. Check out some of the Before and After Renovation images of Water Features our Team has Transformed. 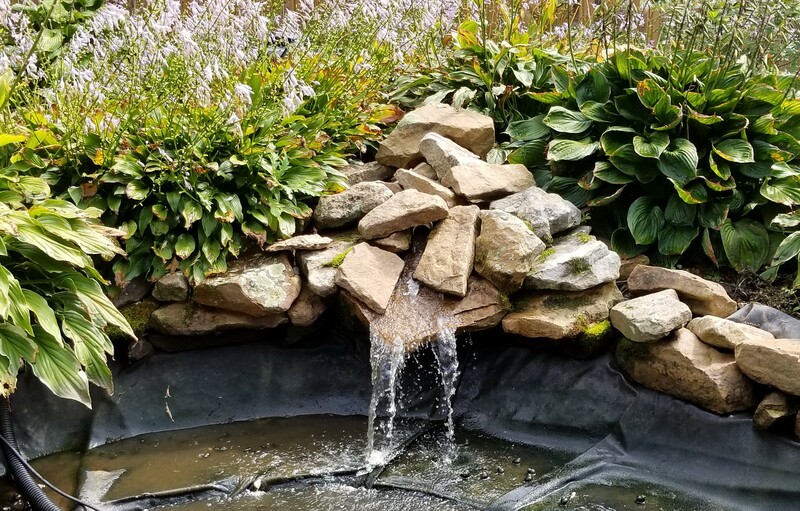 Water Features are made up of many parts and when correctly assembled and properly maintained they form a beautiful and naturalistic work of art. 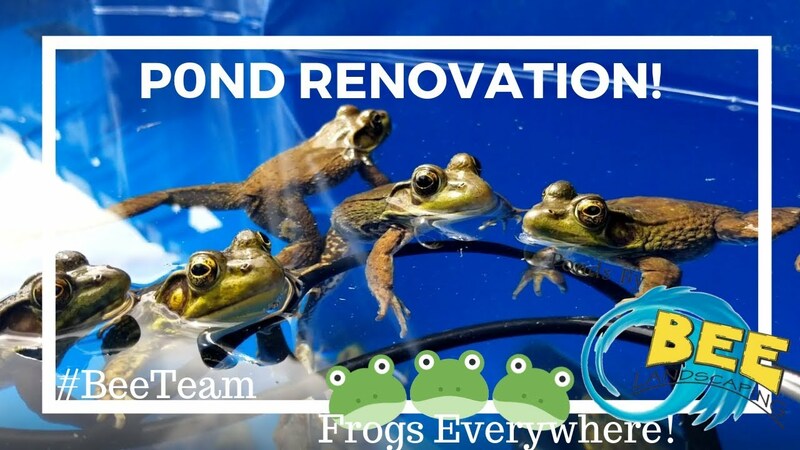 Check out our videos to see some of the Renovation work our Team has created. 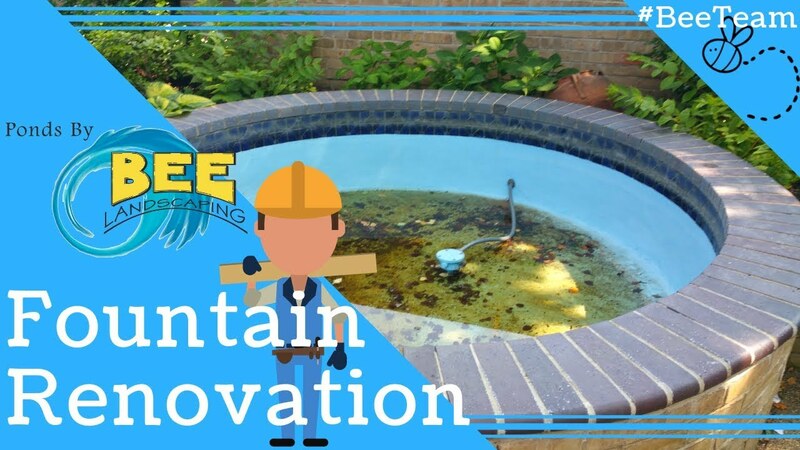 Although a little water loss in a Water Feature is normal from evaporation, significant water loss indicates you likely have a leak. Repairing a leak doesn’t always have to be a difficult task. The hardest part is finding where the leak is located. 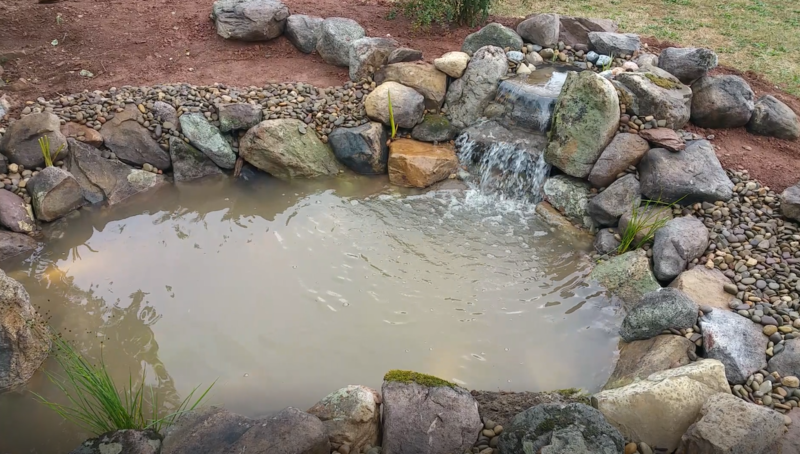 Check out this video from our colleagues at Aquascape, where they provide a few tips to finding and fixing a leaky water feature. It may seem like an overwhelming task but finding a leak is all about narrowing down the the leak location. 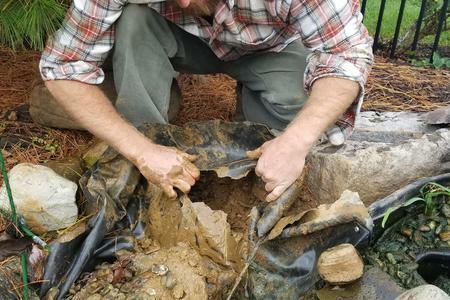 Whenever our Team receives a call about a leaky pond one of the first things we tell the Pond owner is to perform a Leak Test. Click on the link next to this post and it will direct you to one of our blog posts that provides step by step instructions for performing a leak test. If you are confident, the post also provides instruction on how to repair a hole in your pond liner, if found.